We offer a complete range of diagnostic and treatment services for cardiovascular disease, including both non-invasive and interventional procedures. We can help you live like it. 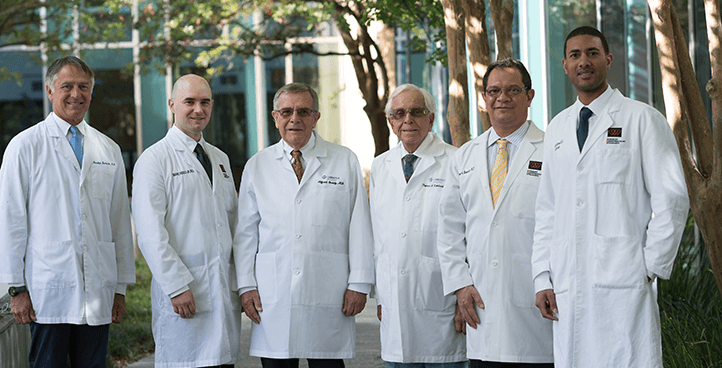 Each member of our talented team of cardiovascular specialists provides expert, compassionate care. Healing Southeast Texas since 1978. Our commitment to innovation, education and personalized care ensures that our patients are receiving the best possible care available. We're here to help you understand heart health. At Advanced Cardiovascular Specialists, we want to provide the best cardiovascular care available, but we also want to be a resource for the larger community. That’s why we’ll periodically provide news and information about cardiovascular care and treatment, including topics such as heart-healthy living habits. If you have a medical concern, don’t hesitate to call us at 409.892.1192, email us or contact us through our contact page. Percutaneous coronary treat narrowings, blockages or plaque. Radiation treatment to address scar tissue from previous treatment. Techniques to look for narrowing or blockages in arteries. Make your next appointment with Advanced Cardiovascular Specialists. We are dedicated to providing our patients and the community with the best cardiovascular treatment and prevention in an efficient and compassionate manner. Time to dedicate ourselves to the fight against heart disease — the nation’s No. 1 killer. Revised blood pressure guidelines mean more Americans have hypertension. The doctors and support staff at Advanced Cardiovascular Specialists were incredibly thorough and caring throughout my treatment. I always knew that I was in good and skilled hands.